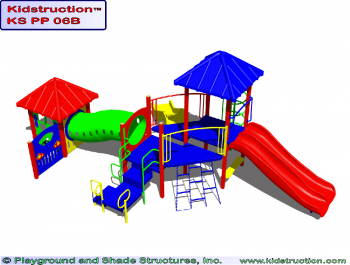 Copyright ©2015 Playground and Shade Structures, Inc. All Rights Reserved. We will help you identify the variables that are unique to your organization and give you guidance to make the best choices possible. 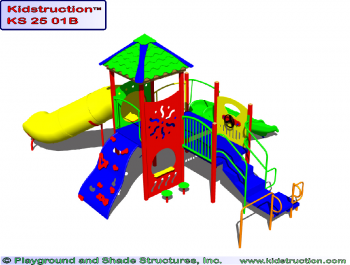 Kidstruction™ will help you secure the most equipment and best features for your money, while creating an outdoor playset wonderland that will foster physical, mental, and social skills in a secure environment. 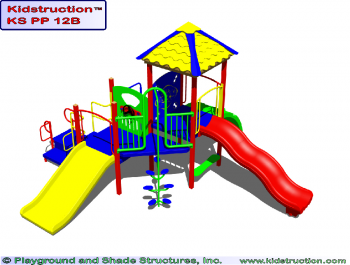 Search our outdoor playground equipment by either age group or price. If you need equipment for a preschool, for example, there is no sense in looking at playground structures designed for 12-year-olds. By the same token, our equipment for 6 to 23-month-olds would be out of place at a local park or on an elementary school playground. We also know that you most likely have a set budget for your needs, so we want you to have a realistic idea of what you can accomplish in terms of price. 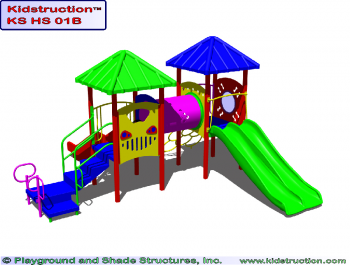 Kidstruction™ commercial playground equipment includes swings, slides, bridges, climbers, play panels, and rooftops—elements that make playtime engaging, stimulating and even inspiring for pint-sized minds with immense imaginations. 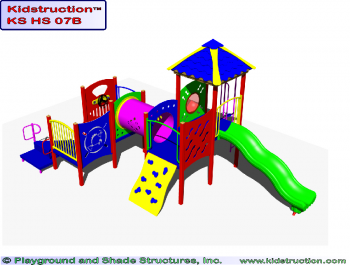 As your little pirates and princesses bring Kidstruction™ structures to life, rest assured that all components are made from the safest and most durable materials available. 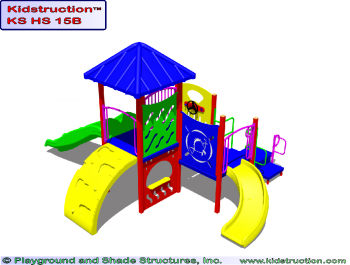 In addition to outdoor playsets, Kidstruction™ offers additional accessories such as free-standing play stations, sun shades, and safety surfacing to complete your playground package. 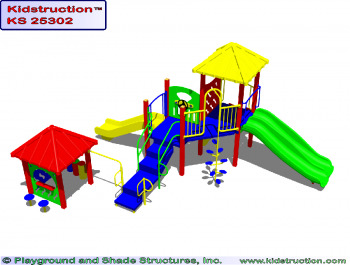 If you need features such as park benches, waste receptacles, or even barbecue grills, Kidstruction™ can bring your vision, in its entirety, to fruition. 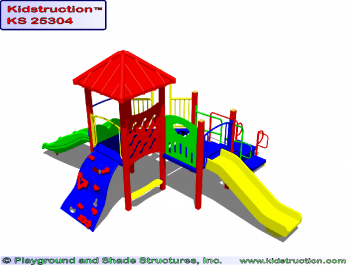 Contact Kidstruction™ to begin mapping out your vision for kids playground equipment. We offer both the equipment and the technical expertise to help that vision take shape.